We are offering PPR Reducer Socket to our clients. We are manufacture of PPR-C (Polypropylene Random Copolymer) Pipes & Fittings. 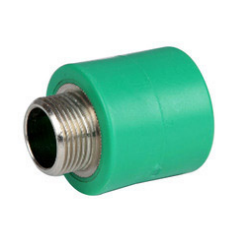 Our company has gained immense experience in the field of presenting PPR Reducer Socket. We are highly acknowledged organization engaged in presenting remarkable range of PPR Reducing Socket. 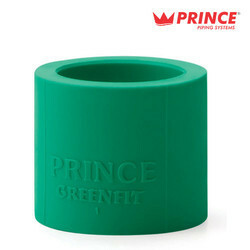 We have reached the pinnacle of success and earned a reputed name by trading high quality range of PPR Socket. We are actively engaged in manufacturing a durable array of PPR Socket in varied specifications as per preset industry standards. Riding on unfathomable volumes of industrial expertise, we are engaged in manufacturing a broad assortment of Brass PPR Socket.